A few weeks ago we ran a small competition with some Strive dehydrated hiking food as the prize. One of the winners was long time reader Greg from N.S.W. 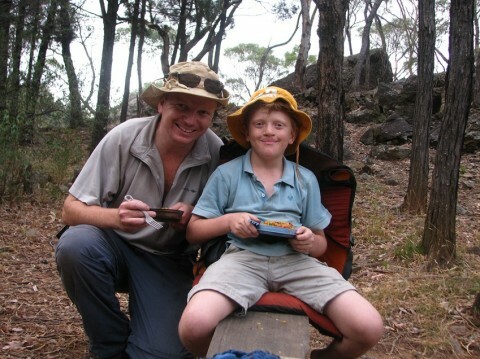 Whenever we run competition or offer any advice about a trip, we always love getting emails or comments back letting us know what happened…..
My son & I had the opportunity to utilise some of the Strive food you sent me recently when we took an overnight walk to Balor Hut in the Warrumbungle NP. I have attached a photo of us partaking in the fare for dinner Saturday night. We had it served over some chopped salami sausage which wasn’t too bad. I mean I dont think I’d be all that happy to pay $20 for it as a main at a local restaurant but, as we have often said, its amazing how good food can taste after a day’s walking. Even my son Alex, a rabid carnivore usually, finished his plateful! Next time, I might try frying the salami a little first and maybe stir through some tomato paste for a little extra taste & moisture. I have also attached an interesting shot of The Breadknife from the north side, just near Balor Hut, the opposite side to the iconic shot you always see of it more from the south eg from Lugh’s Throne or the Grand High Tops. Looks a lot less like an actual breadknife from this angle but still very impressive nonetheless. Its all pretty impressive there really. It costs $5/night/person for hut use plus park entry fee. Camp in your own tent beside for park entry fee only. Pit toilet there for all to use. Not sure about inside hut but I think just basic furniture, bunks with no mattresses etc. 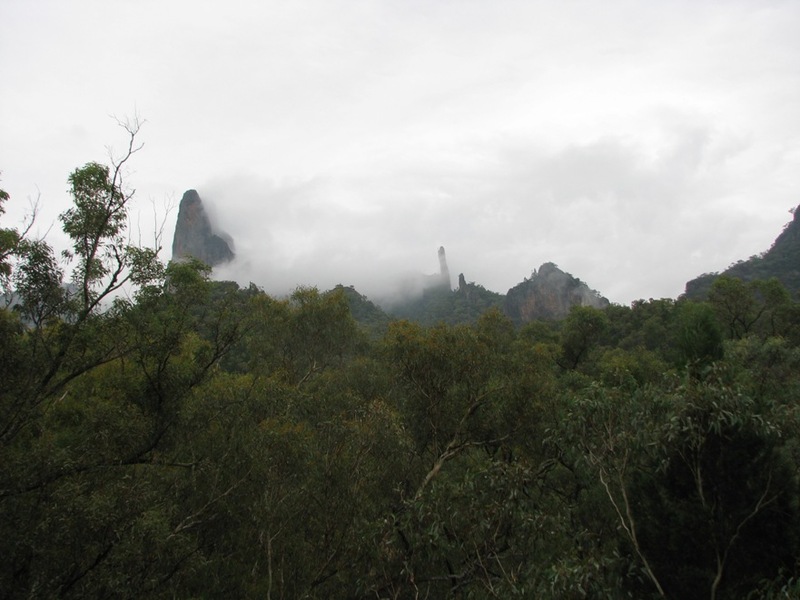 It’s best to check with NPWS, you can visit the official Warrumbungle NP site for more information. Many thanks to Greg and Alex for sharing their adventure. We still look back, as a family, with fond memories of camping trips with friends. It was great fun and the children have some fantastic stories and experiences. 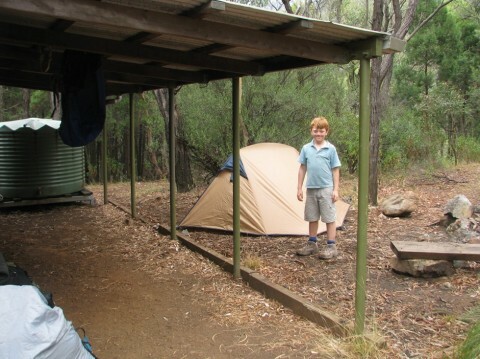 Do you take your children hiking or camping? Have you been to the Warrumbungles National Park? Thank you for sharing the wonderful photos and trip overview. 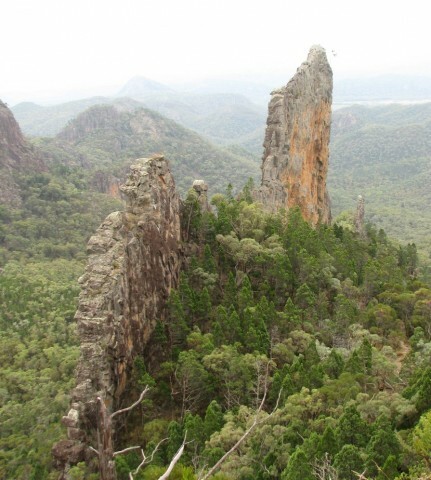 Hailing from Victoria, I had never heard of Warrumbungle NP before so I was fascinated to read on the official website (Thx for the link!) that it one of the state’s most popular national parks. Warrumbungle looks beautiful and I have added it to our list of places to visit one day. To answer Frank’s question… We go car camping with our kids and a group of other families. A great time is always had by all, and our kids didn’t want to come home from our Vic coastal camping on the long weekend last March. We have just started day hiking again after a long break and plan to take our two older kids on some overnighters soon. Next steps including getting packs and lightening up some of our gear. We have been building up slowly with 8-12 km walks but our 12yo son just wants to go straight to 20+km a day. We are looking forward to quality family time with fresh air, exercise, lightweight food and NO mobile phones! I’d be interested in hearing from others on how to keep kids happy and engaged on bushwalks. As a follow up, I can report that, on a later hike, the Strive was improved out of sight by frying the salami first and adding some tomato paste as well. One of our walking party even had some fresh parsley which was just the ticket! My mate Dale, normally a steak & pepper sauce man, commented that it tasted good and that I had managed to get more vegetable matter into him in one meal than his wife had in the last 12 months! 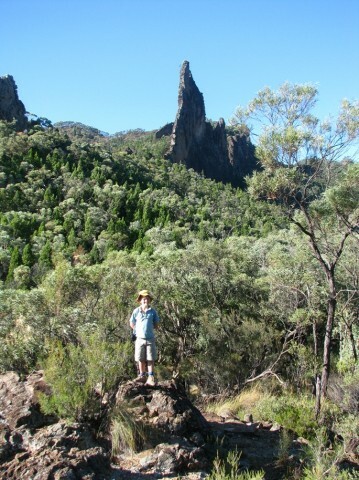 I have been to the Warrumbungles. They are great. 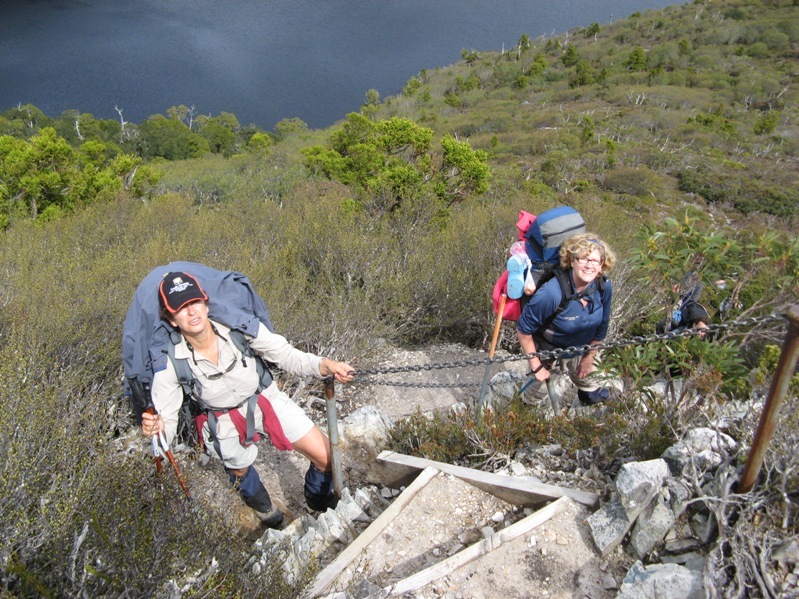 A great selection of walks, with most suitable for kids. 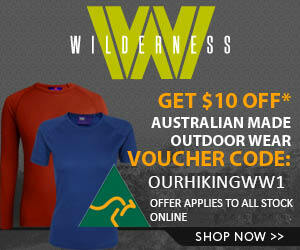 The camping ground is one of the best I have seen in a national park. A great place to car camp with the family. Balor Hut also looked like a good sheltered spot to camp. Okay I am a sucker for camping father and son pics!I LOVE the top pic. What great memories with great food to boot. They need to frame that one and treasure the memories. It is a great pic Rockin! It is fantastic to hear people are getting their children into the “bush” They had a great weekend!